July was a busy month for the Aeroflot Group, 6 million passengers travelled with the Russian group of airlines during July, that's an increase of 12.4 percent over last years figures. More than half of that number travelled with Aeroflot itself, indeed the leading Russian carrier flew 3.6 million passengers during the month, nearly 10 percent up on 2017 figures. In July 2018, the Aeroflot Group added two Airbus А321 to the fleet, which as of 31st July 2018 now amounts to 352 aircraft. On domestic routes, Group passengers carried and RPKs grew by 14.6% and 13.7% year-on-year, respectively. ASKs grew by 11.9% year-on-year. Company passengers carried and RPKs increased by 12.8% and 10.3% year-on-year, respectively. ASKs grew by 8.3%. In July 2018, the number of passengers carried on the Group’s international routes increased by 9.7% year-on-year. RPKs grew by 7.6%, while capacity grew by 8.3%. The number of passengers carried by Aeroflot airline on international routes increased by 6.9%. RPKs grew by 5.6%, ASKs by 6.5%. Aeroflot Group’s passenger load factor was 91.2%, representing a 0.3 percentage point increase versus the same period a year earlier. 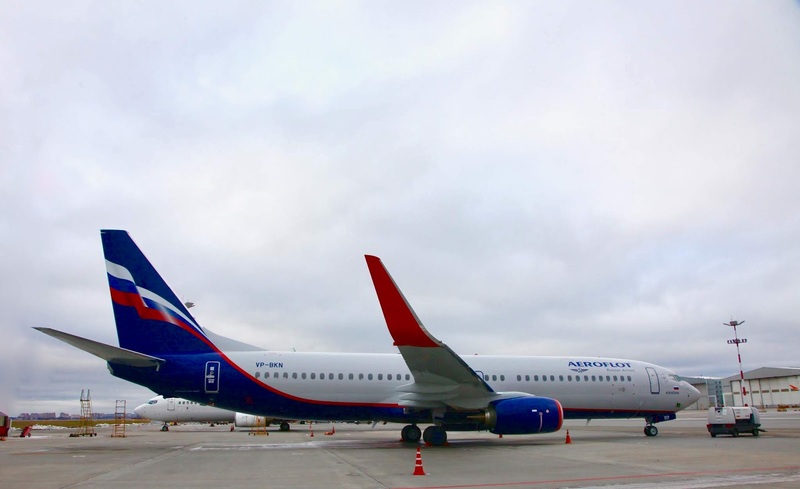 The passenger load factor at Aeroflot – Russian Airlines increased by 0.1 percentage points year-on-year to 89.3%. The load factor was supported by Russia’s hosting of the World Cup during the reporting period.